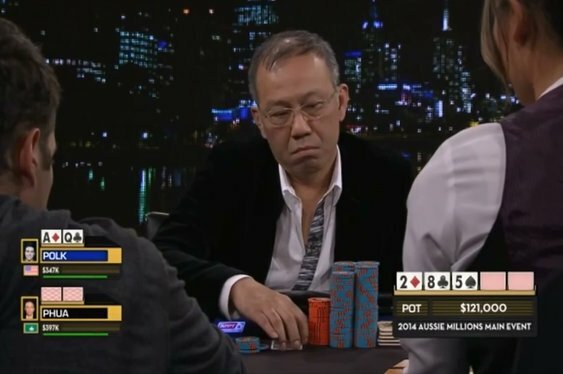 The ongoing saga of millionaire businessman and high stakes poker player, Paul Phua, took another twist this week after a Malaysian politician called for an investigation into claims made by the country's Home Affairs Minister, Ahmad Zahid Hamidi. Before Christmas Phua's defence team had taken receipt of a letter from Malaysia's Home Affairs Minister, Hamidi, in order to help bolster their client's reputation. In a nutshell, the letter addressed the FBI's claims that Phua was a high ranking member of the criminal gang, the 14K Triads. "To assist both your department and Mr. Phua’s legal teams, based on our information, Mr. Phua is neither a member nor is he associated with the 14K Triad," wrote Hamidi. As well as dismissing claims Phua had links to organised crime, the politician also explained that the poker enthusiast was active in a number of large-scale projects, including national security. "According to our records, Mr. Phua has on numerous occasions assisted the government of Malaysia on projects affecting our national security and accordingly we continue to call upon him to assist us from time to time, and as such we are eager for him to return to Malaysia." It was hoped the letter would help exonerate Phua was is currently under investigation by the FBI after he was arrested in Las Vegas for allegedly heading an illegal sports betting operation thought to be worth hundreds of millions of dollars. However, it seems the letter has now been withdrawn from Phua's defence amid complaints from Fahmi Fadzil, communications director for the People's Justice Party (the leading opposition party in Malaysia). Concerned that the letter was an attempt to exonerate Phua as well as link him to matters of national security, Fadzil called for the incident to be investigated. "Mr. Zahid writing the letter comes across as very shocking not only because the letter attempts to exonerate Paul Phua, who clearly has a chequered past, but also because Mr Zahid claims that Mr Phua has assisted with projects of national security. I will be discussing with several Members of Parliament on formally requesting a response from Mr Zahid in the Malaysian Parliament," Fadzil told the South China Morning Post. With the letter withdrawn, it will be interesting to see what action both the FBI and the poker player's defence team make in the coming weeks.